Rio Tinto has opened a fourth diamond pipe at the remote Diavik Diamond Mine in the Northwest Territories of Canada. Known as A21, the new open pit pipe is located adjacent to Diavik’s existing mining operations at Lac de Gras. Developed over a four-year period at a cost of $US350 million, the pit is expected to be at full production during the fourth quarter of 2018, providing an important source of incremental supply to sustain production levels at the mine. Rio Tinto Copper & Diamonds chief executive Arnaud Soirat said the investment reflects the strong outlook the company sees for the diamond industry. “It is a remarkable achievement to deliver this project safely and ahead of time in such a challenging environment, positioning Diavik to continue meeting the demand for its outstanding diamonds,” Mr Soirat added. 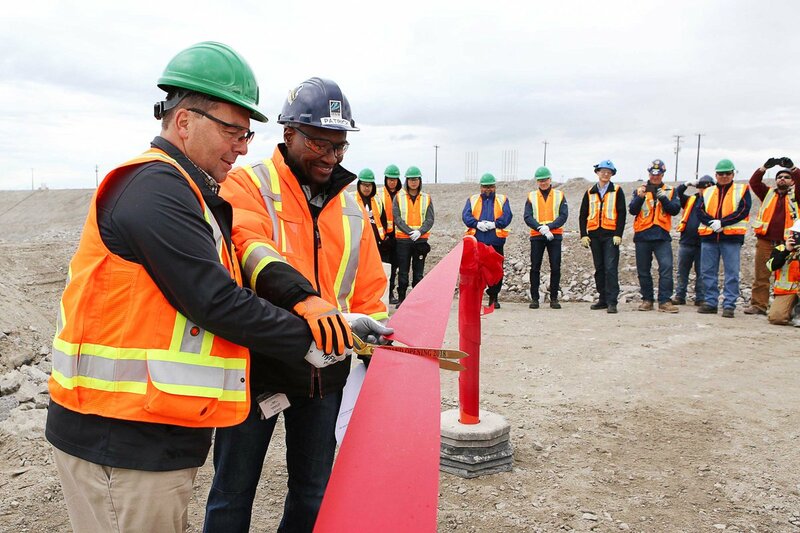 Diavik Diamond Mines president Patrick Boitumelo congratulated the mine’s workforce on safely bringing the A21 pipe from development to commercial production. “This new pipe is great news for the Northwest Territories and will help to deliver economic and social benefits that will endure beyond the life of the Diavik mine,” he concluded. The Diavik Diamond Mine began production in 2003 and has been a fully underground mining operation since 2012. The mine produces predominantly gem quality diamonds for high end jewellery in all major consumer markets around the world.